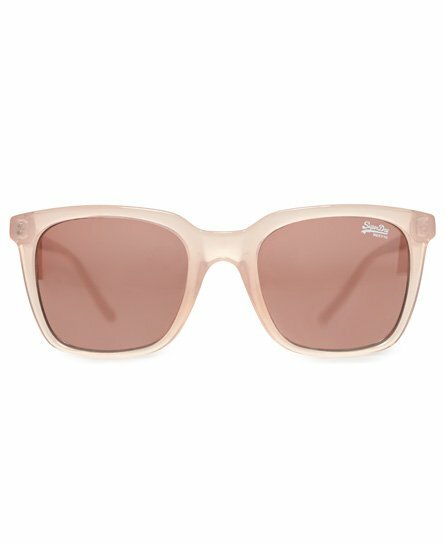 Superdry women's SDR Mia sunglasses. These sunglasses feature Superdry branding on both arms and a subtle Superdry logo on the corner of one lens. Lens category – Optical class 1, with highest quality optical properties. UV rating – UV400, providing protection against UVA and UVB rays. Filter category – Category 3, providing high protection against sunglare ISO 7000-2950.